On Tuesday, August 22, 60 high school student leaders from New York’s Capital Region attended our annual Best Buddies Local Leadership Training Day. 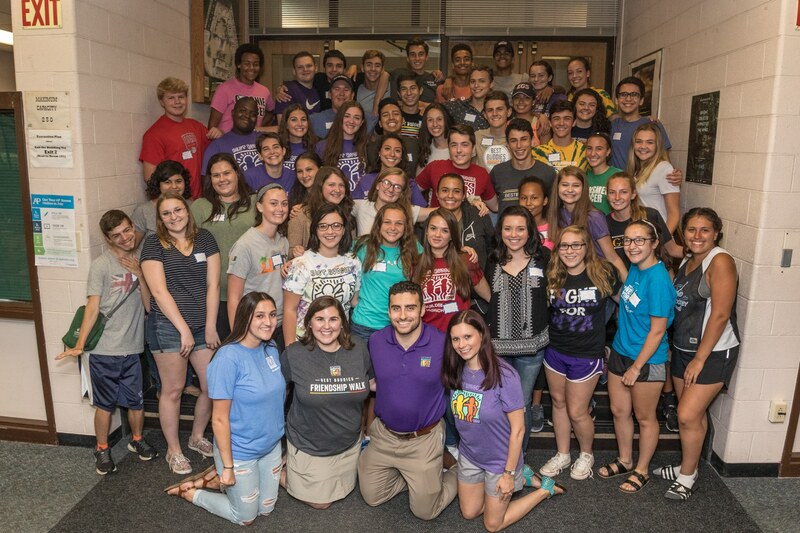 We also held a college Local Leadership Training for 15 college student leaders on Saturday, September 9. During the day, our student leaders were engaged in lively discussions about the Best Buddies mission, using Best Buddies Online to its fullest potential, advocacy, utilizing the Buddy Director position and how to keep participants engaged all year. Students were taught the importance of goal setting and assigning various responsibilities throughout the year to ensure goals would be met. There was an open discussion for ideas about effective communication within their chapter leadership and students shared advice and best practices. The students left with fresh ideas for recruitment and fundraising. We’re excited to see all of the great successes our chapters will have this year. We also want to thank you all for your tireless efforts to support our students and our mission. We wouldn’t be able to accomplish all that we do without your support and enthusiasm. We are proud of our student leaders and chapters and are looking forward to all the wonderful things that the 2017-2018 school year will bring!